Only eleven days to go in an already-exhausting General Election campaign… and still – apparently – all to play for. How will you vote? How will you decide… and will your Christian faith have any impact on your decision? When former Prime Minister Tony Blair was asked about his Christian faith, Alastair Campbell famously silenced his reply and interjected, ‘I’m sorry, we don’t do God.’ Much later, the former PM said: ‘If you are in the American political system or others, then you can talk about religious faith and people say “Yes, that’s fair enough” and it is something they respond to quite naturally. You talk about it in our system and, frankly, people think you are a nutter.’ Odd for a country with an Established Church to be so reticent about discussing religion in the realm of politics. In the Members’ cloakroom in Parliament, the coat-hangers have a red ribbon attached to them so that – historically – MPs could safely store their swords before entering the chamber. 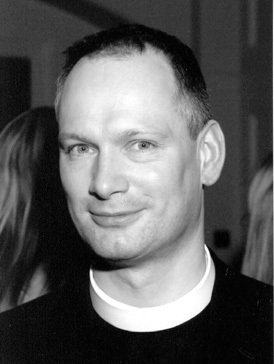 One recent Archbishop commented, ‘In the modern world there is great pressure to treat faith in the same way – to put it safely aside before entering our workplaces, and to pick it up again at the end of the day.’ One working assumption among many in our contemporary society is that religious faith is a private, individual concern – something to be got on with in our spare time, and not to be mentioned in public. I find this an odd – and ultimately indefensible – view! Faith is not something I keep in a compartment… nor is it just a matter for Sundays. On the contrary, my whole world-view is informed by a sense of the call and challenge of Jesus Christ – and by the imperatives that flow from that glimpse of God’s love we see in him. The challenge, it seems to me, is constantly to be making the connections between what we believe and how we behave, individually and together: between, that is, faith and politics. What do I think about criminal justice, or immigration? What is my view on employment or care of neighbour? Do I care about the environment? As a Christian, my views are profoundly informed by what my religious tradition has to say. We could do worse, in these final days before polling on the 6th May, than examine the policies being dangled before us from a Christian perspective. How? 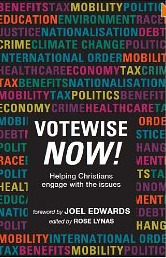 Well: ‘Votewise Now!’ (published by SPCK – available from the Parish Office and on the Bookstand) is one very accessible and readable guide to current political issues. The Christian think-tank ‘Ekklesia’ is providing daily analysis of politics on its excellent website. And on Tuesday (for the technophobic!) – at St Mary le Bow in the City – there are good, old-fashioned hustings. “We don’t do God”?! Nonsense. Go on… engage your faith before you vote! You can DOWNLOAD a PDF of the full Weekly Sheet here.